Proper monitor calibration is one of the main factors for accurate transmission of the final image. There are a lot of professional tools that allow you to calibrate the monitor, but they are designed, first of all, for experts operating with high-quality matrices. For ordinary users who also would like to get the most realistic picture, but they don’t have the desire to understand professional programs or acquire a spectrophotometer to adjust the image, Microsoft has provided some Windows 10 built-in tools. 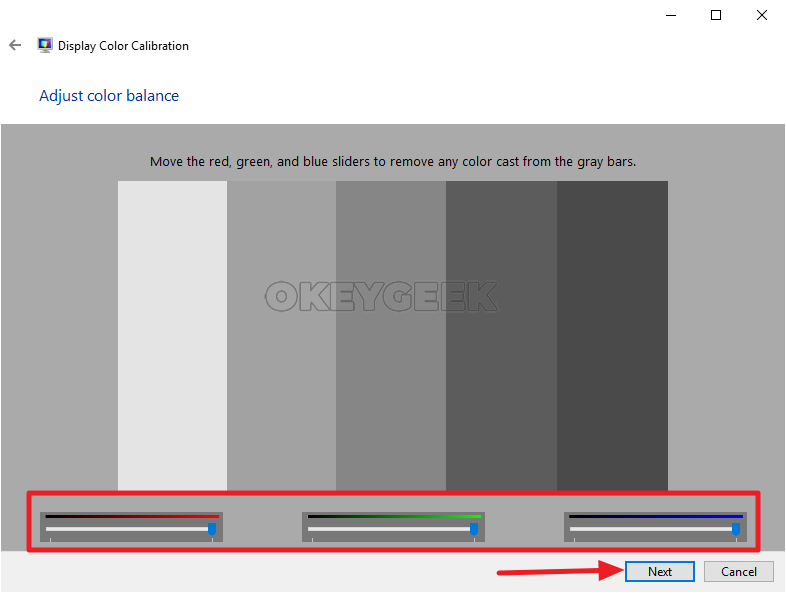 Those tools will allow you to calibrate your monitor quickly and easily. Not all monitors require calibration. It should be carried out only if the colors displayed by the screen do not suit you for this or another reason. 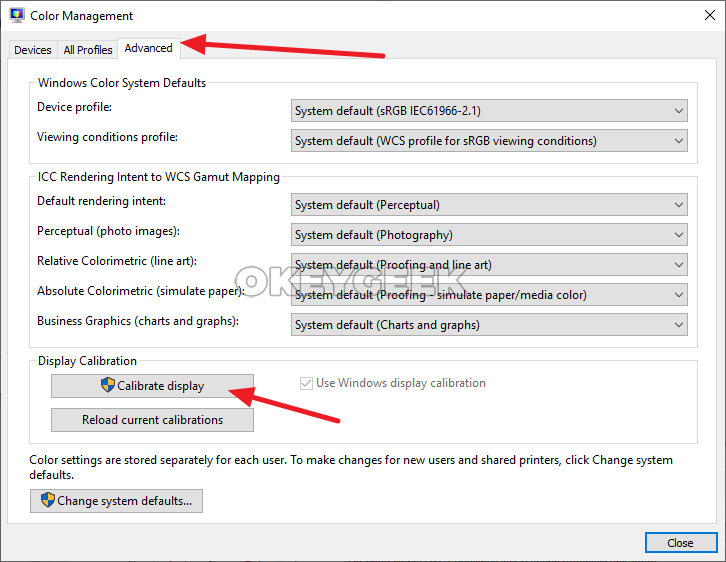 Using the tools discussed below, you can calibrate your computer monitor by adjusting only the basic parameters. Use the “Run” line. 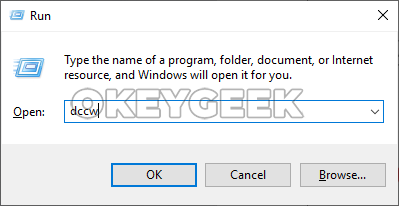 Click Win+R combination on the keyboard and use the dccw command. Use standard “Parameters” in Windows 10. 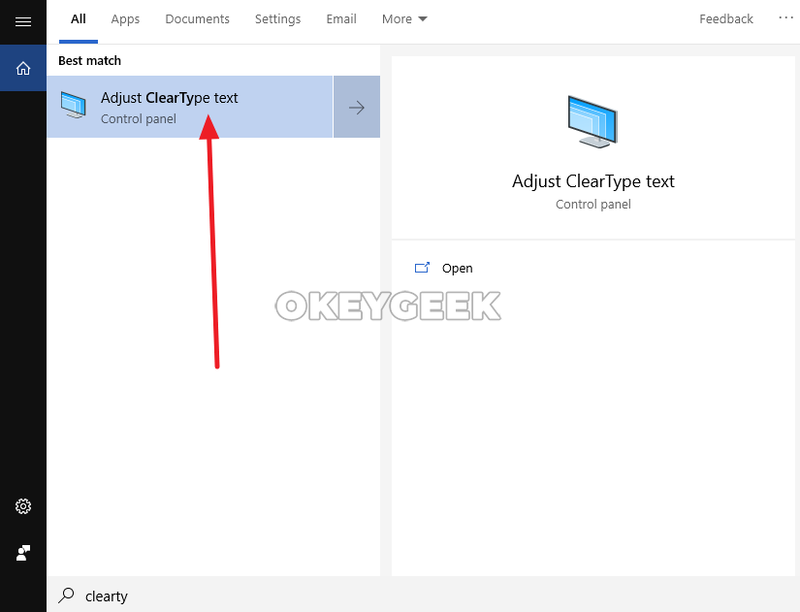 Launch the “Parameters” page (by pressing Win + I or click the gear in the “Start” menu), then go to the “System” section, and from there to the “Display” subsection and select the “Advanced display settings” option among the available options . 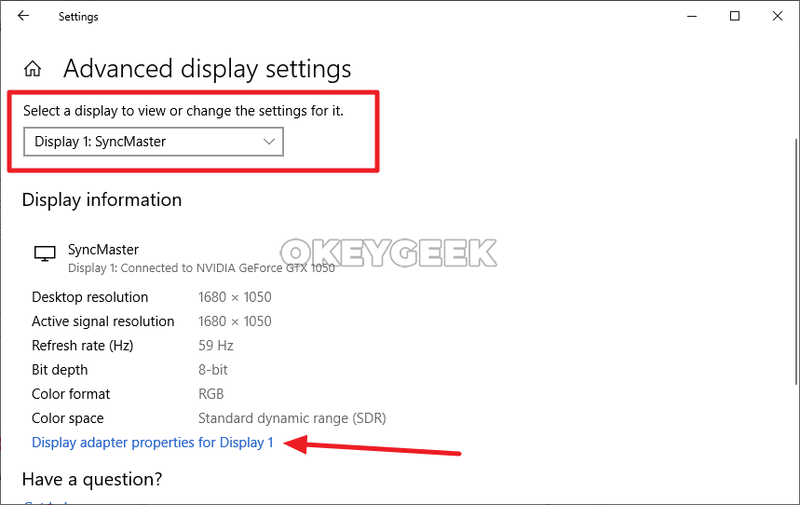 A new page will open and on this page you need to select the monitor that is being calibrated, and then click “Display adapter properties for Display”. 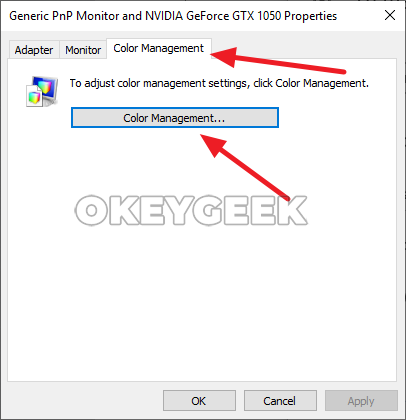 There will appear a new window with properties, switch to the Color Management tab and select the option with the same name. 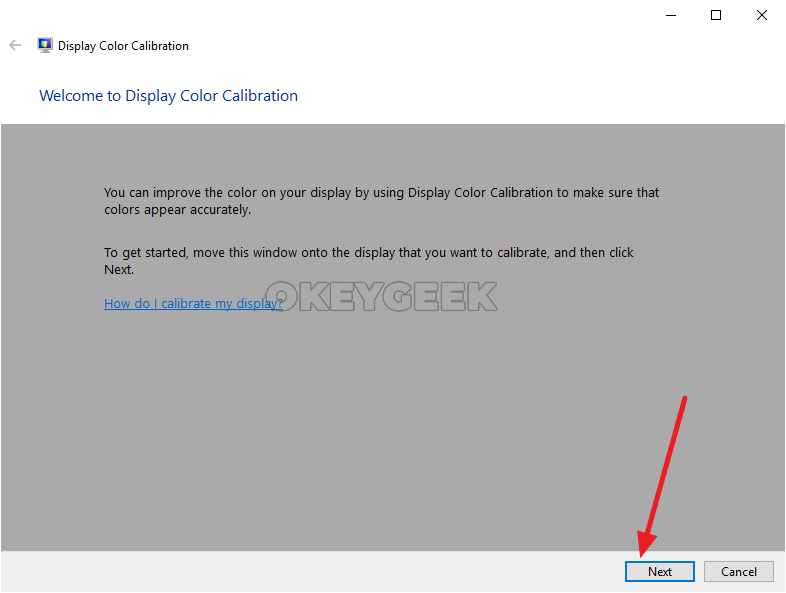 A new window will open again, in this window you need to go to the “Advanced” tab and click “Calibrate Display”. Important note: To calibrate the monitor, you must have computer administrator rights. 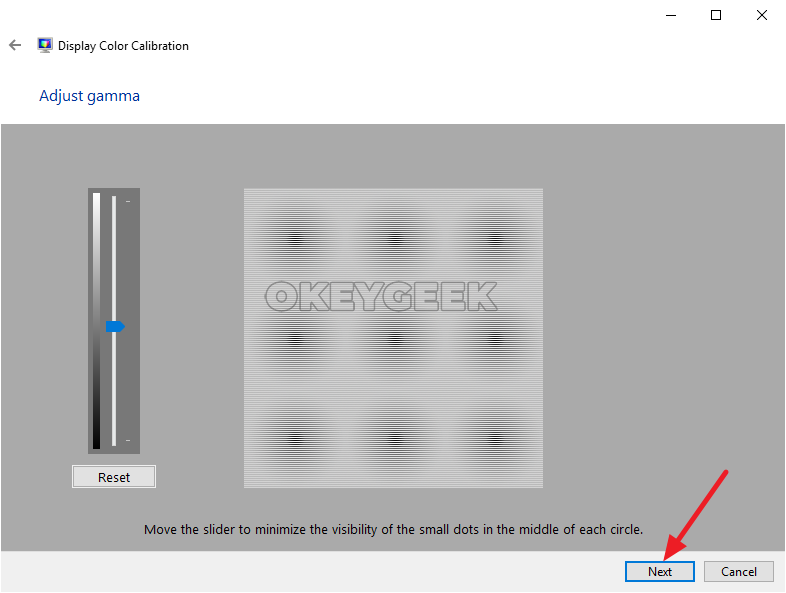 Running the calibration option, you can proceed directly to adjusting the ideal image. Click on the “Next” button, and then again on the “Next” (after reading all the informational messages), to proceed to setting up the first parameter – “Gamma”. Gamma determines the ratio of primary colors (red, green, blue), as well as the intensity of their radiation. 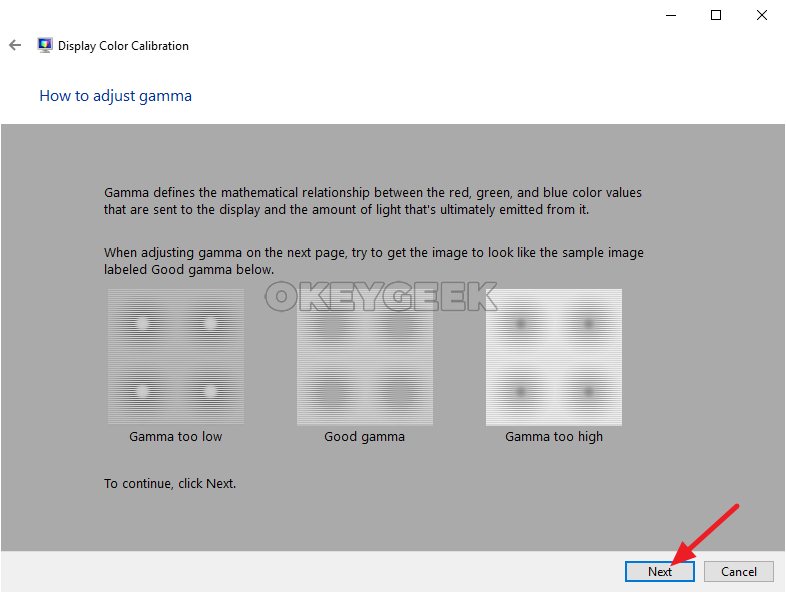 In the image calibration utility you are going to see 3 pictures that indicate how the low gamma differs from the high gamma. Click “Next” to start the configuration. To adjust gamma it is proposed to use the slider in the left part of the window. Moving it up and down, you can make the scale higher or lower. 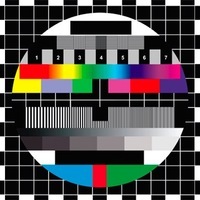 Gamma is considered to be configured to transmit the most real colors, if the points displayed in the center of the screen are minimally visible. If you want to return to the original value, you can use the “Reset” button. When the setup is complete, click “Next” to proceed to brightness and contrast calibration. 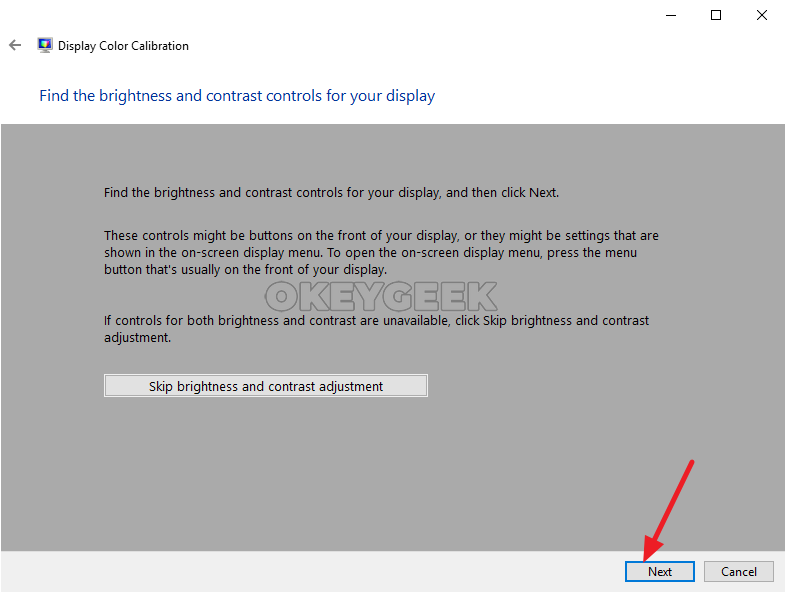 You are going to see an informational message indicating that the brightness and contrast should be adjusted manually, adjusting the monitor settings. That is, you will need to use the monitor manual to understand which controls are responsible for the adjustment of the specified parameters. Press “Next” again to proceed to the contrast setting. 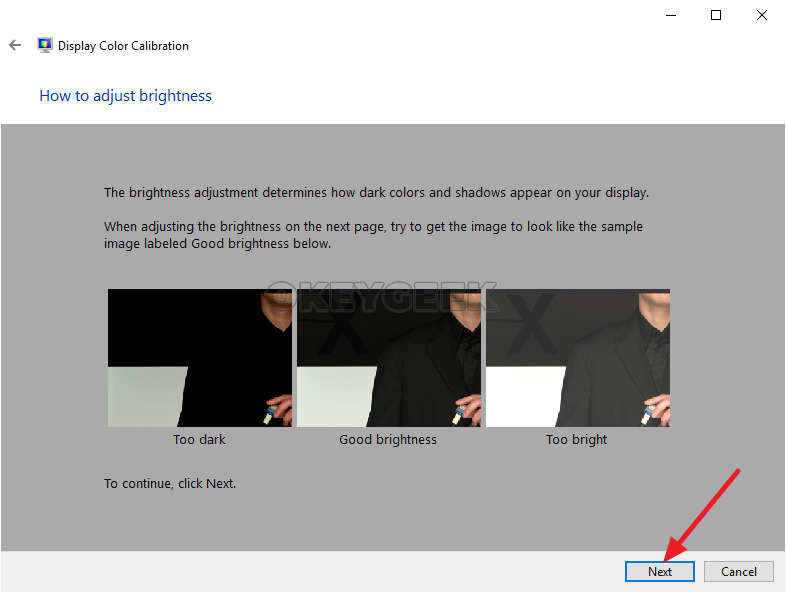 Another information window will open with information about what is the contrast and brightness of dark colors, and which settings can be considered optimal, and which ones are highlighted or darkened. 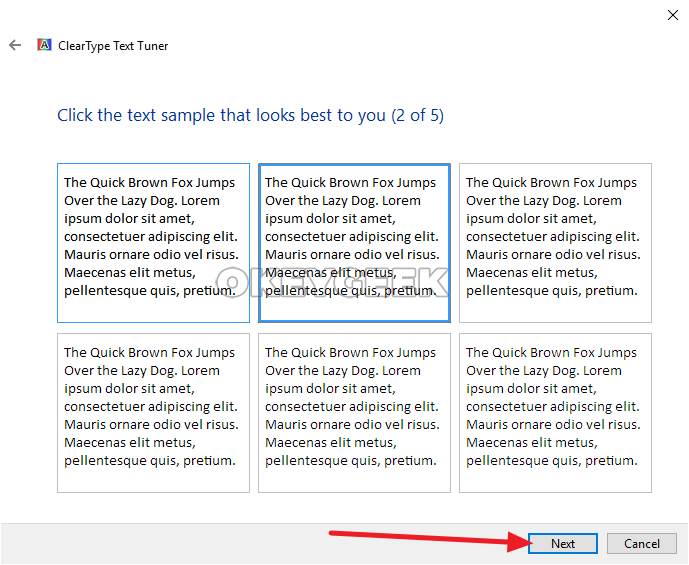 Click “Next” to proceed to the setting. Now you are going to see a picture of a man in a black shirt standing against a black wall. 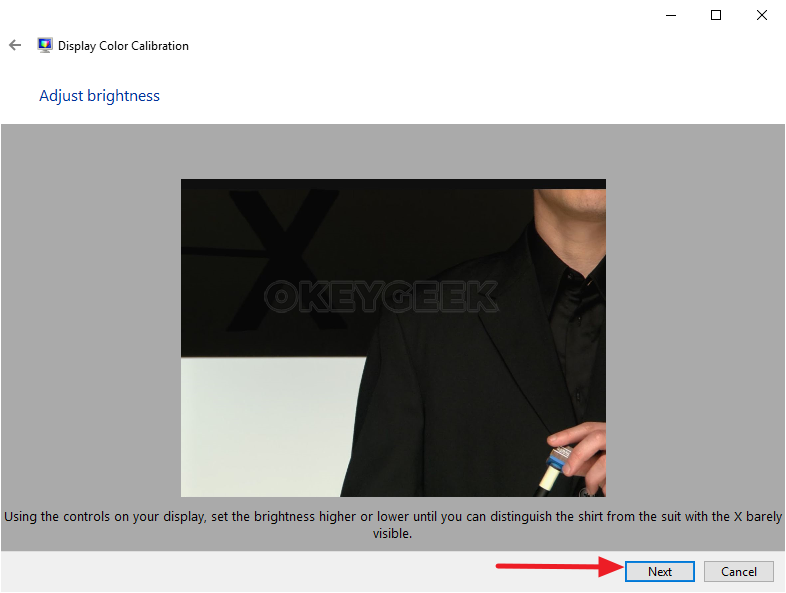 Using the monitor’s brightness settings, you need to set the brightness and contrast levels so that the shirt does not merge with the wall, and the letter “X” displayed against the background is barely visible. When this setup is complete, click Next. There will open a page with information about the contrast and brightness of light colors. Check it out and click “Next” again. 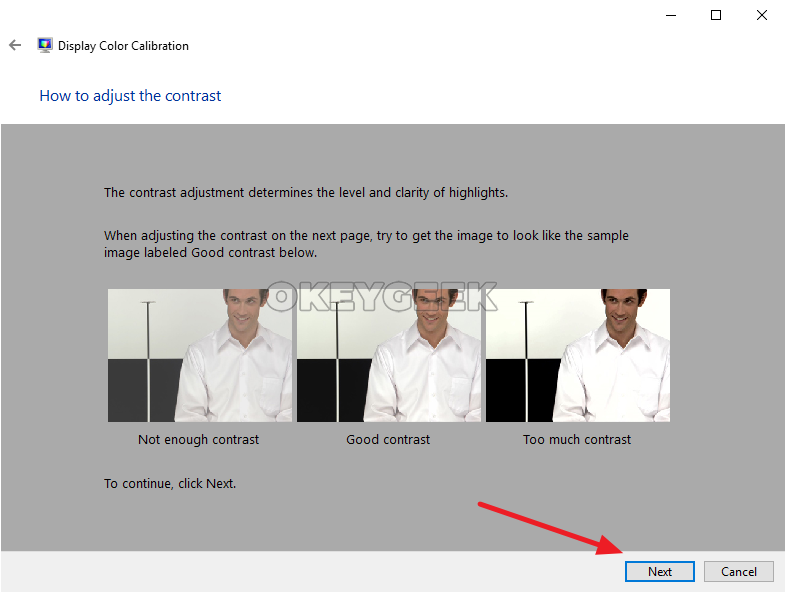 Using the contrast settings, you need to adjust the new test image so that the buttons and wrinkles on the white shirt of the man remain visible. After completing this setup, click “Next”. 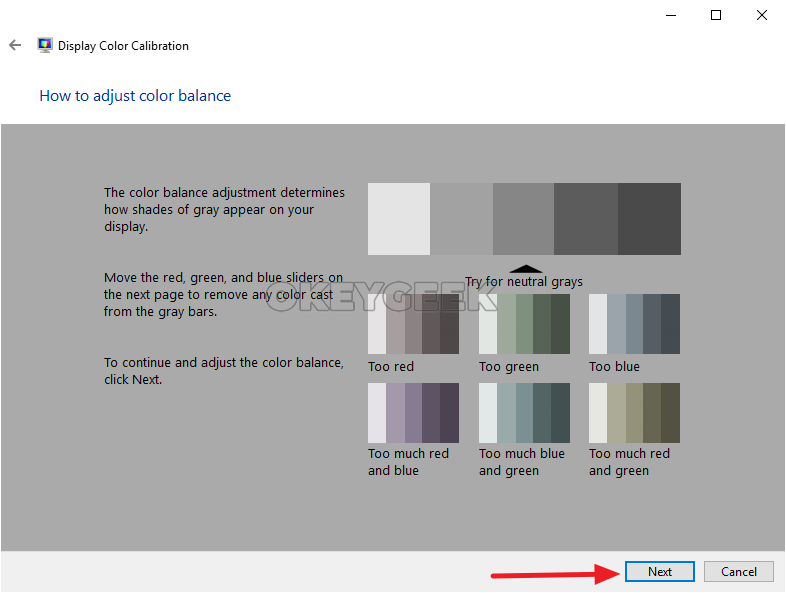 The next screen tells you what color balance is and how to set it up correctly. 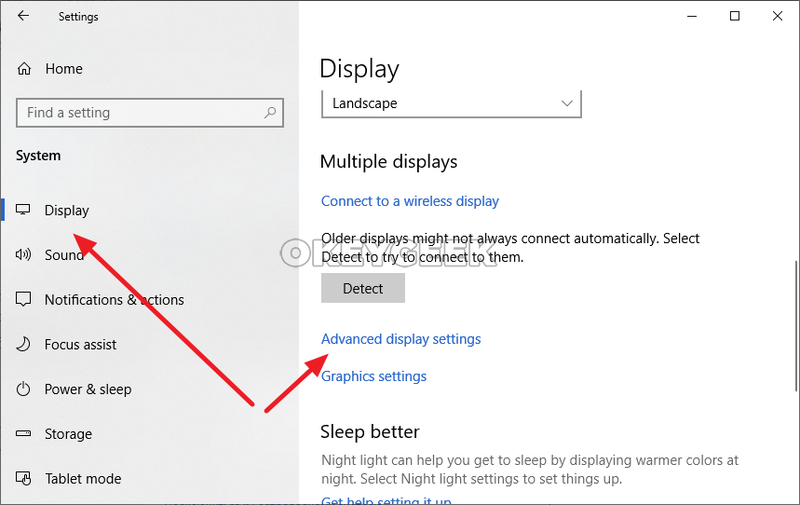 Settings can be made using the Windows tools that are available on the next screen. Click “Next” to get to them. 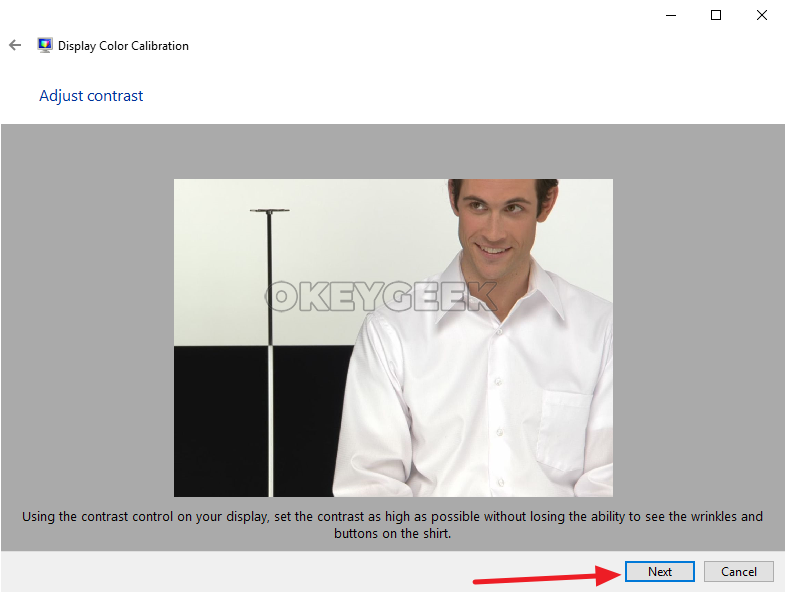 Most monitors allow you to adjust the color balance through the screen settings. 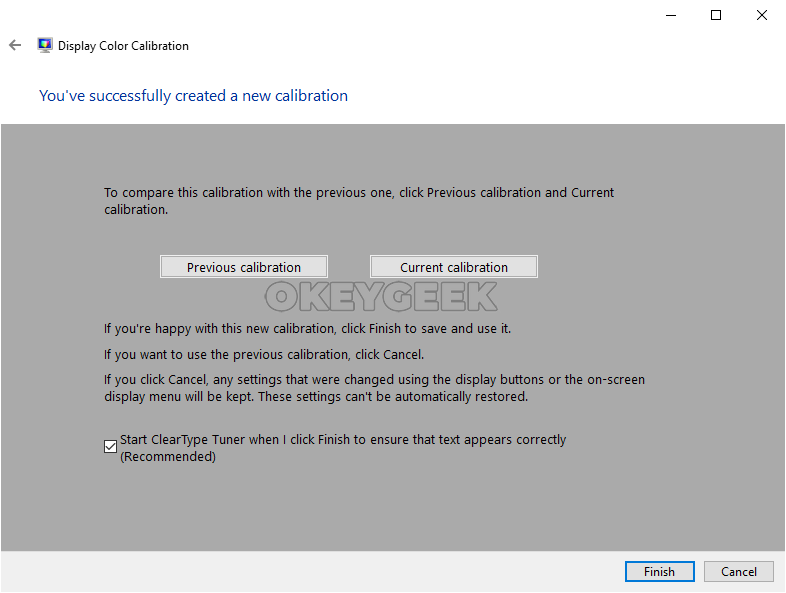 At this point the screen calibration utility in Windows 10 will offer you to compare the old calibration with the new one. Click “Previous Calibration” to see how much the new version differs from the previous one. 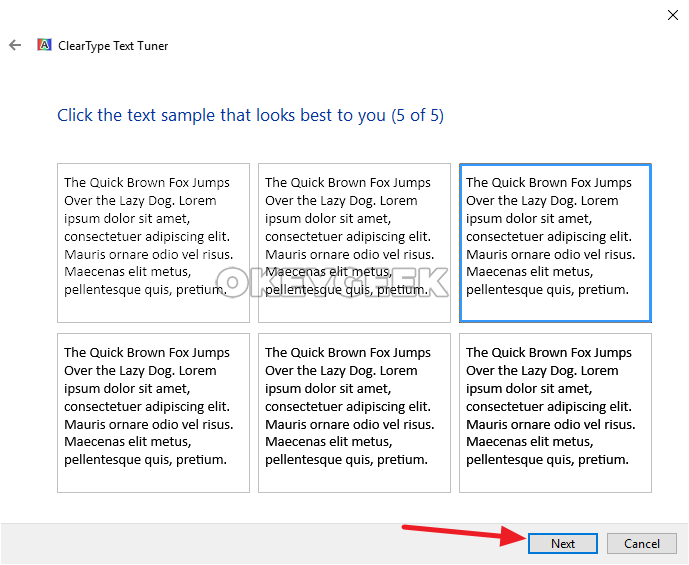 At the bottom of the final screen, it is recommended to check the “Run ClearType Settings Tool” checkbox. The following describes how to work with it. Click Finish to apply the new calibration. If the previous option is better, click “Cancel”. 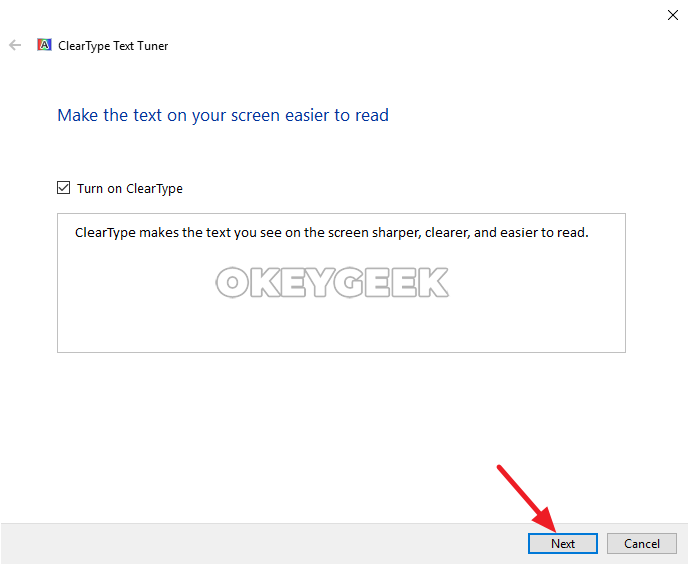 After screen calibration, it is also recommended to use the ClearType utility. 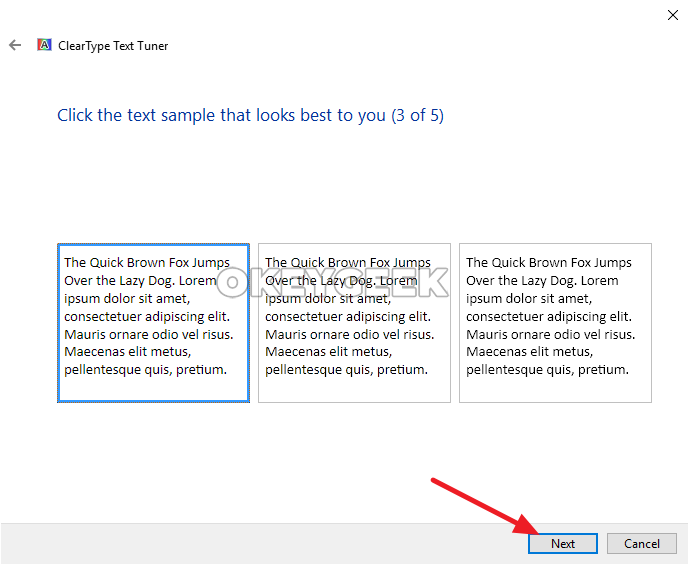 This Windows tool allows you to customize the fonts quality. 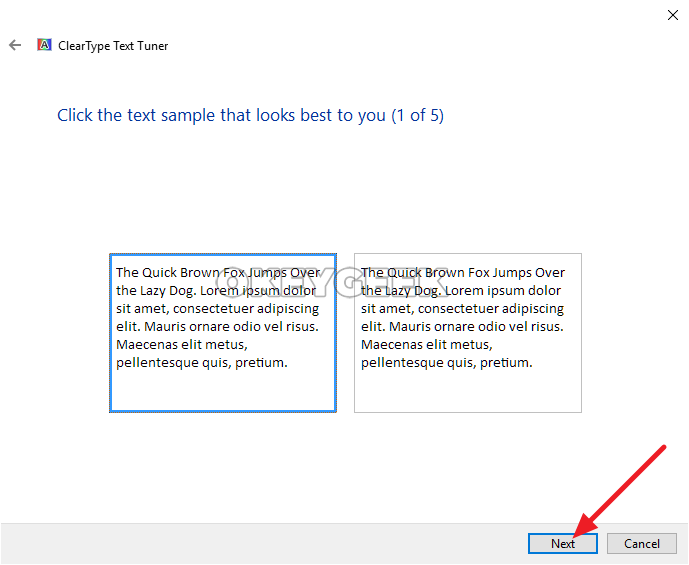 If you have not used the parameter to open the ClearType utility through the calibration utility, you can open the ClearType setting by searching for the corresponding query. 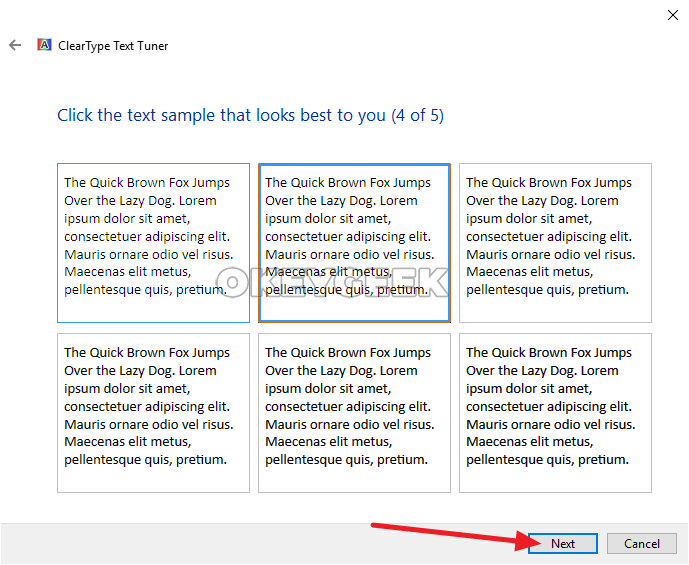 Open the ClearType utility, click “Next” to go to the settings. The first screen will run the resolution test. 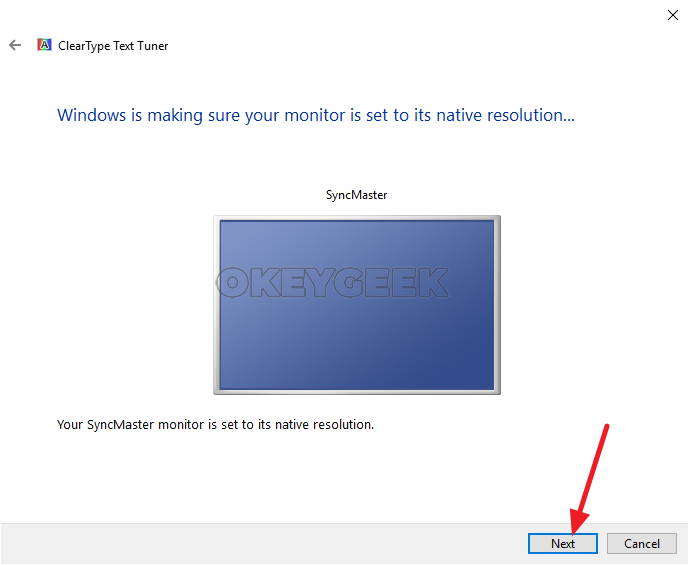 If the resolution is set correctly, it corresponds to the base one, the system will report this. Click “Next”. The next screen will offer 6 text samples. The task is the same – choose the best one and click “Next”. The final fifth stage also offers 6 text options. Choose the best and click Next. That’s it, the ClearType setting is complete. Click Finish to apply the changes. 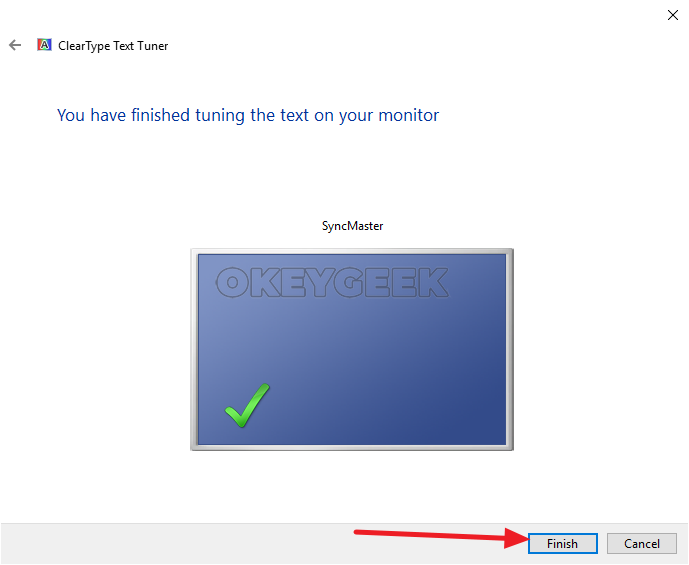 After performing a screen calibration and setting up a ClearType, the image on the screen should meet your needs and expectations more closely.